Café Naïveté: Carefree life, Flickleness and Joie de Vivre..
Carefree life, Flickleness and Joie de Vivre..
"Sometimes I would venture from my sepulchre to the jazz of night Paris, where having gathered the colours, I would think them over in front of the fire. 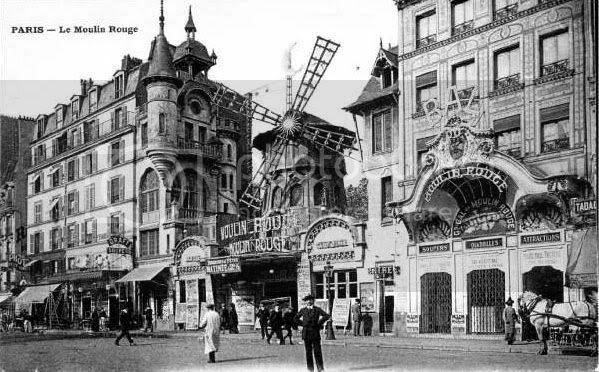 I could be seen walking through a funeral corridor of my house and descending down a black spiral of steep stairs; rushing underground to Montmartre, all impatience to see the fiery rubies of the Moulin Rouge cross. I wandered thereabouts, then bought a ticket to watch frenzied delirium of feathers, vulgar painted lips, and eyelashes of black and blue. Naked feet, and thighs, and arms, and breasts were being flung on me from bloody-red foam of translucent clothes. The tuxedoed goatees and crooked noses in white vests and toppers would line the hall, with their hands posed on canes. Then I found myself in a pub, where the liqueurs were served on a coffin (not a table) by the nickering devil: "Drink it, you wretched!" Having drunk, I returned under the black sky split by the flaming vanes, which the radiant needles of my eyelashes cross-hatched. In front of my nose a stream of bowler hats and black veils was still pulsing, foamy with bluish green and warm orange of feathers worn by the night beauties: to me they were all one, as I had to narrow my eyes for insupportable radiance of electric lamps, whose hectic fires would be dancing beneath my nervous eyelids for many a night to come." - a letter written in 1906 about the Tavern of Hell by Andrei Bely, a russian novelist. 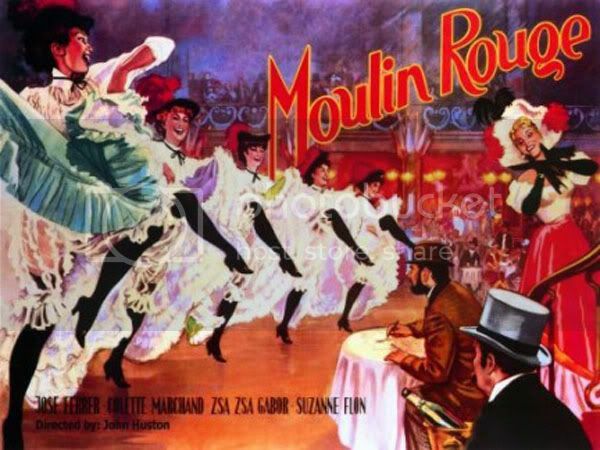 Today it's the 120th birthday of Moulin Rouge. The cabaret was first founded in the occasion Exposition Universelle, in 1889, the same year when the Tower of Eiffel was completed. Since then, the venue hasn't felt or seen crisis at all and continues selling 240.000 bottles of Champagne per year. So cin cin! and let you champagne pop because the eternal magic of Moulin Rouge shall never fade..